Authenticity in food: What defines it and does it matter? In Malaysia, if a restaurant had a particularly elderly woman cooking the food of her homeland, it’s ‘confirm authentic one’. In a land of such rich and varied food, us Malaysians have been tuned to use authenticity as a measure to filter out the bad apples from the rest. But in 2016, after decades of cross-culture, is it still relevant? The etymology of the term ‘authentic’ is Greek, from the word ‘authentikos’ meaning ‘genuine’. Therein lies the problem with the term when used in the context of cuisine. While it can be used to determine the authenticity of an iconic painting, a Prada bag or Microsoft Word software, using it to describe a bowl of noodles is suggesting that authenticity of a particular cuisine is absolute. It’s implying that a bowl of noodles should have just as much an indication of whether ‘it’s the real deal’ as a computer software. It’s brushing that bowl of noodles with two broad strokes of colour: black and white. I’m of the belief that we foster feelings about a particular cuisine or dish based on memory. My grandmother’s honey fried chicken is a revelation – its thickset legs that sit in yoghurt for two nights, its skin black and bumpy from the sizzling wok, its crunchy bits and knobs gathered in a mouthful with rice and rasam. How could a dish that has never seen a day in my grandmother’s homeland come to be the dish I best associate her with? Even science will skew to the fact that my grandmother is just a fantastic cook, if not necessarily a ‘textbook’ one. Another example is one of the best things I once ate in Tokyo, at an izakaya whose food is modern and playful, a far cry from the precision of the city’s fine kaiseki restaurants. The dish was tofu in the consistency of cream cheese, drizzled with honey, and spreadable on baguette. Maybe it was the company, the bottle of saké I was swiftly getting through, or the chef taking a fondness to us, but it struck me as one of the most inexplicably delicious things I had ever eaten. But was it authentic? Hardly. 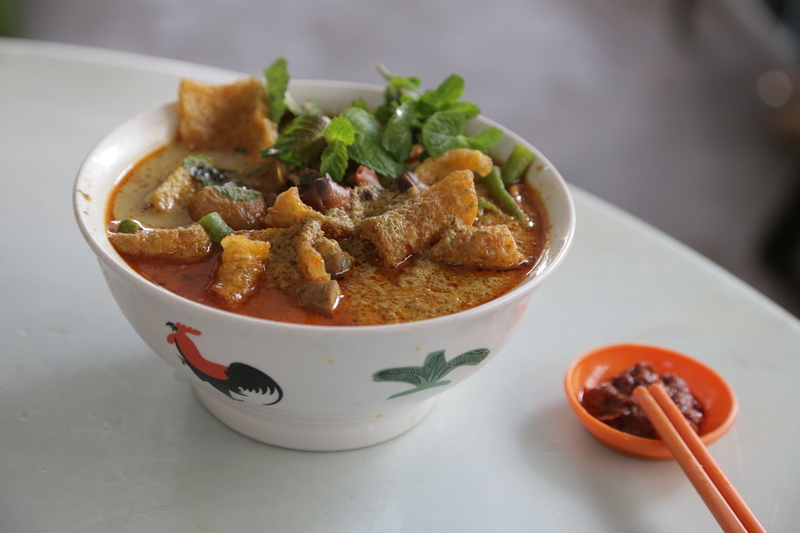 If authenticity had a place in food culture, the result is the disaster that has taken place in Penang: xenophobia. 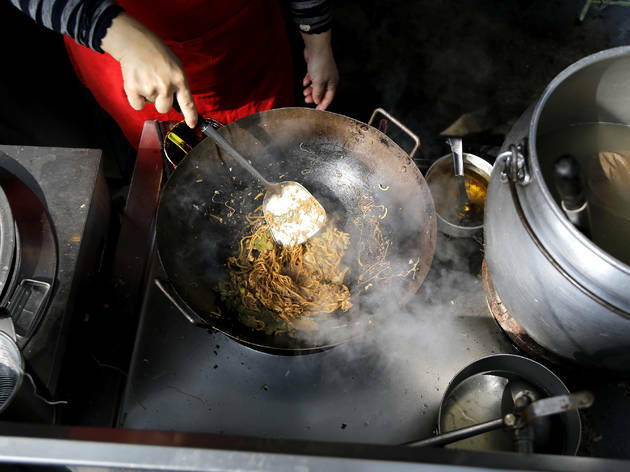 In 2014, the state government announced a ban on foreign cooks to preserve and protect the ‘authenticity’ of street food. 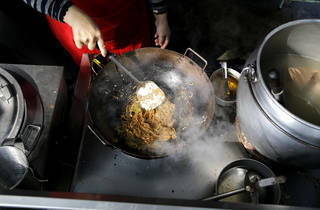 Early this year, the government implemented a move for vendors to display a ‘Penang Street Food’ sticker on their stalls if a local prepared the food. According to a survey conducted by the government, approximately 87 percent of respondents supported the move. In an excuse to ‘protect’ a cuisine, the Penang government has fantastically but subtly managed to wipe out the idea of foreigners ‘touching our food’. It’s racism packaged as nationalism. It’s like telling David Thompson – the Australian chef based in Bangkok who drove Nahm to become one of the best Thai restaurants in the world – to piss off because the locals ‘do it better’. It’s the very dangerous idea of a cuisine belonging to one culture, one race, or one shade of skin; or the outdated notion that food is a product of nature, but never of nurture. In the present day, the limiting concept of food protectionism is not just in Malaysia, it’s everywhere. But perhaps the biggest culprit of them all is Italy. No doubt a land of a rich, complex cuisine, Italy and its people can also be worryingly shielding of their cuisine. Change is often perceived as disrupting or disrespectful, a mindset that has compromised their hold on the World’s Best Restaurants list. The Italian most present in the list, Massimo Bottura, took many years to earn so much as a second glance from the people of Modena. His food at Osteria Francescana reimagines Italian classics with a new eye, with a fresh approach to lasagna or a lemon tart. But out of sheer conservatism, the Modenese would have nothing of it. The same arrogance is displayed in Verona, where the mayor recently introduced a ban on mostly ‘ethnic’ and deep-fried food at immigrant-run businesses to preserve the ‘historic and architectural patrimony of the city’. The law was implemented after a spike in the number of kebab shops in the city. In an interview with Russia Today, Arzu Merali, director of Research at the Islamic Human Rights Commission, said that the ban was a pattern of systemic racism and Islamophobia across Europe. She adds, ‘It’s much easier now to have policies which are openly racist, and to dress them up very lightly with things like “keeping traditional character”.’ On another pressing note, how could one deny the need of kebab in one’s life? A faltering issue with authenticity is also its refusal to acknowledge the fuse of two or more cultures. History has seen mass migration from one culture into another, and progress of a cuisine or the creation of a new one is an exciting result of it. Malaysian-Indian, Peruvian-Japanese and American-Chinese food are some examples that stray from the scholarly definition of authentic, but have been culturally appropriated to become cuisines of their own. But if a host country finds it difficult to embrace the food of an ‘outsider’, it can be perceived as an unwelcome jab at their subculture and its people. It’s a take of ‘my family is better than yours’. It’s another thing altogether to protect food within the places they originate. Items like Camembert and champagne are put under strict European Union guidelines to protect their designation of origin. In Spain, high-quality food like jamónibérico, sherry and honey are isolated under a classification system called Denominación de Origen (DO) to regulate its quality and geographical origin. So long as the people producing the food are not shaming or limiting outside cultures for helping the cause, these certifications do little harm. It’s far less detrimental to protect the origin of food than to ban the ‘type of foreigners’ producing and cooking them. Authenticity also disregards one of the greatest pleasures of cooking – spontaneity. The idea of cooking with what I can afford, what’s in season, and with what little equipment I have is a stimulating practice for me as a home cook. If the joy of cooking is in the ability to adapt, to abide by the law of authenticity is to zap the fun out. In fact, history tells us that cooking essentially is adapting to what you have. That’s how grilling over fire came about as a cooking method, and think about Malaysians’ affinity with spices or New Zealand and its love affair with lamb. We make use of what’s around us, and simply, we try to survive. So if the course of a cuisine takes unexpected turns along the way, it’s a sign of changing social, cultural and agricultural environments, or a shift in economic health. Who are we to sit on our high horses and deny those changes? In the setting of a home kitchen, meanwhile, does using a different species of chilli than my nenekmoyang render my dish inauthentic? Does making my biryani in a cast iron pan with a teacloth over the top rule it out as Hyderabadi? The results may change, and the quality of the dish may vary, but that downfall is a matter of the cook and the diner alone, not the government. While respecting the origins of a cuisine is well and good, it’s far more important to respect the ingredients and the people who cultivate them. But first, the senseless notion of authenticity must be repaired with the mindset that no one country or region truly owns the food that comes out of it. Authentic is not a flavour; it’s not the blood and toil that go into the making of a dish, it’s not for anyone to call out. It’s a silly technicality that should be put to bed. A cuisine with age and prestige on its side does not grant it the right to refuse change. Because if you listen carefully, food isn’t asking to be protecte d; it’s asking only to be celebrated. We are a food city. One that caters to the food-obsessed; one that alternates between street and traditional dining, at any budget and time of the day. 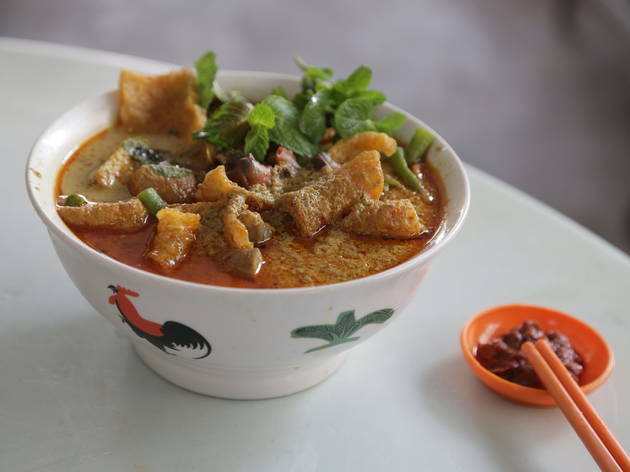 Here are the 100 best dishes and drinks that truly defines us, from the contentious nasi leamk to the humble roti canai. Loosen your belt – you've got much eating to do.